home / STARTicles / Should Small Businesses Incorporate to Take Advantage of the New Tax Law? If you watched the news coverage surrounding the new tax law, you probably heard the phrase, pass-through entity being bandied about … a lot. The issue of pass-through entities certainly sounds like it’s the biggest consideration for small businesses when thinking about whether to incorporate to take best advantage of the new tax law. This STARTicle will introduce you to the concept of pass-through entities to help you make this important decision. That said, keep in mind that you should never make important decisions like this one based on a general understanding. Your business has any number of unique considerations that you should address with a trusted tax expert. Hopefully, this article will make you a more enlightened client. For about 95 percent of businesses, income from the business passes through to the owners, who then pay taxes under the individual income tax laws. This includes single-person businesses (like contractors), along with some incorporated businesses like Limited Liability Corporations (LLCs). Even S-Corporations are considered pass-through entities because income taxes pass through to their shareholders, who are actually business owners. This is the general definition of pass-through entities. The key point is that owners pay taxes on business earnings when they file personal income tax returns. 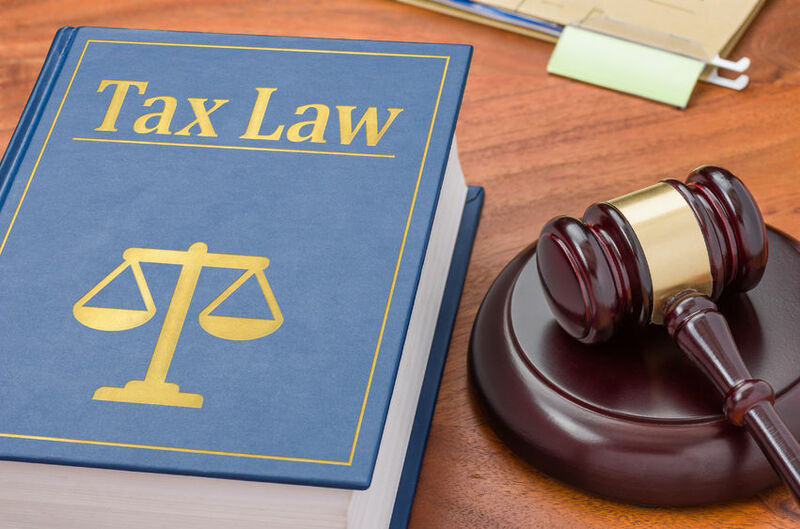 This basic principle will not change under the new tax laws, but the laws do alleviate some of the tax liabilities for business owners who pay taxes on their personal returns. How Does The New Law Apply to Pass-Through Entities? Prior to the new tax laws, pass-through businesses generally paid taxes at a lower rate than C-Corporations simply because the corporate tax rate was so high. Now that corporate tax rates have been significantly reduced, however, small business owners could easily pay taxes at a higher rate than their corporate counterparts. The new law attempts to address this inequity by allowing owners of these entities to deduct 23 percent of personal income from taxes to offset their personal pass-through liability. Of course, this is the tax code, so it’s not quite that simple. To fully understand it, try taking a gander at the actual bill starting on page 22. If you’re now fully confused, then I have done my job. Clearly, it’s not just a matter of subtracting 23 percent of your personal income on a single line of your tax form. All of the qualifying rules, which extend to page 44, make it seem pretty complicated. As a former legal blog writer, I got pretty good at reading legislative language. But, I’d have to draw out a complex flow chart to make sense of the new tax legislation. And, since I’m not a tax expert, I’d probably still miss something important. Making the jump to incorporation is starting to sound pretty good, isn’t it? Is Now the Time to Incorporate? Not so fast. The complexities of the pass-through rules are not necessarily reasons why every contractor or solopreneur should run out and incorporate (or even why LLC owners should file taxes as S-Coroporations). For one thing, you may expend more effort and spend more money complying with complex Federal reporting requirements than you save in taxes. Does your business income qualify you for the 23 percent deduction? I already told you that reading the law makes qualification unclear to the average person. And, your industry makes a difference. Just one example that might apply to you: professional service businesses (like doctors and lawyers) do not qualify for the deduction. Would the 21 percent corporate tax rate result in the lowest tax payments for your business? The new law reduced individual rates, too. Plus, before applying the 23 percent deduction, you really need to look at your tax history to figure out what your tax payment might look like when you file as an individual. Of course, this needs to be based on expected business write-offs and countless other considerations. How do legal fees factor into the equation? If you consult with a lawyer to address incorporation issues (and you probably should), will you spend more on fees than you get from tax savings? And, if the consultation is a one-time expense, would you still save more money over time? Would incorporation subject you to double taxation? Many C-corporations are double-taxed; they pay taxes at the preferred 21 percent rate, and, if the owners pay dividends, they pay taxes again. On the other hand, if profits are largely invested back into the business, then incorporating might make sense. This is definitely something to discuss with a tax professional. All of this being said, I saw one estimate that boils everything down to generated income. The rule-of-thumb: businesses generating incomes of less than $315,000 generally don’t need to consider incorporating — provided that they qualify for the 23 percent pass-through reduction. When making such important decisions, however, I personally would not recommend counting on a single rule-of-thumb. Contrary to popular myth, the Federal tax code is not really around 70,000 pages long. That number includes all the regulations and revenue rulings, plus all annotated case law, which tax experts need to know to prove cases for their clients. Still, even at an estimated 2,600 pages (or whatever the page count of the 2018 laws may be), it’s still more complicated than the average small business owner can possibly interpret accurately. Perhaps individuals who don’t own businesses will be able to complete their own taxes on the proverbial post card, but you’re not likely to be so lucky. Even if your business is small enough to get reasonable results from tax preparation software, making decisions about whether or not to incorporate requires professional advice. You now have a high-level understanding of some of the issues. But, before you decide to incorporate — and decide what type of incorporation makes sense — it’s time to talk to a business lawyer who understands how the new tax issues will affect your specific business.